The questions about a HomeKit door lock and an integration of Nuki into the Apple HomeKit ecosystem is one of the most common inquiries we get from you. As we take care of an honest communication and an involvement of you in the development of Nuki, we would like to give you a quick update about the integration of Apple HomeKit. The new Nuki Smart Lock 2.0 will Apple HomeKit and is available from November 2018! Read more: Nuki + HomeKit! Update 1 (26.10.2017): In June 2017, Apple announced to adapt the very strict regulations of the HomeKit integration at the Worldwide Developers Conference “WWDC”. Among other things, it was mentioned that the encryption mechanism does no longer require a physical authentication chip, but can also be executed via a software authentication. This would enable the integration of the HomeKit protocol into existing Nuki Smart Locks. Unfortunately, no specific information about precise timelines is available by Apple yet. Of course, we will stick to the topic and pull out all the stops to make your existing Smart Lock HomeKit-compatible. The next step is now at Apple – as soon as we find out more about this topic, we will inform you immediately. Apple introduced HomeKit together with iOS8 as a new standard for home automation in 2014 without and own application. Only Siri was able to communicate with this new HomeKit standard. In addition, Apple presented an API as well as the standards for the certifications. Compared to common software standards, the certification standards of Apple are very rigorous. They require some certification processes by Apple and the use of a special authentication chipset, what results in changes to the hardware of the Smart Lock. Many experts see this as the main reason why Apple’s HomeKit standard didn’t launch at full speed. 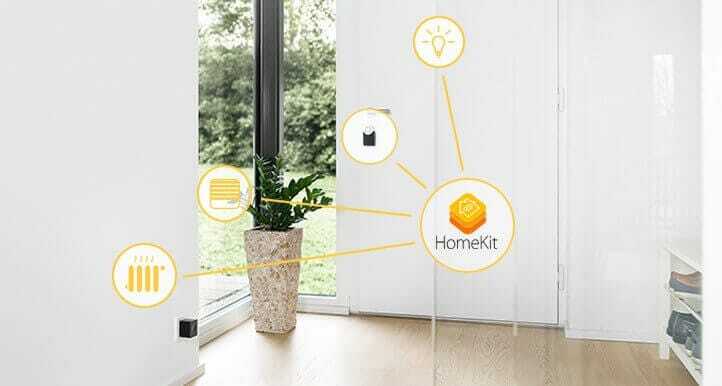 In 2016, after the integration of Apple’s own Home App in iOS10 and with the introduction of new devices at the CES 2017, HomeKit was able to start slowly. When we planned the hardware for the current Nuki Smart Lock in 2015 and commissioned the industrial manufacturing, HomeKit was still at the very beginning. As a startup with our Nuki Kickstarter project we didn’t want to risk a delay in the production, because of the lengthy certifications from Apple. That’s the reason why we have refrained the integration of HomeKit in our current Smart Lock. An integration into the Nuki Bridge, which was produced a bit later, is also not possible due to a restriction by Apple. This prohibits the implementation of HomeKit into bridges of safety devices that have a Bluetooth connection. Now it’s 2017, the Nuki Smart Lock was launched successfully and HomeKit is one of our most frequently requested features. Since the wishes of our customers are our top priority, we are pleased to inform you that we are already working on an HomeKit integration. We are not able to say when it will be available, because as described above, this is a lengthy process and we are still not completely satisfied with the functionality currently offered by the HomeKit standard. HomeKit, Apple’s Home App and Siri are not yet familiar with the “open door” feature that is important for European homes (in addition to “unlock” and “lock”). Until then, we can recommend IFTTT (If This Then That) and Amazon Alexa. Through this platforms, you can easily link the most common Smart Home solutions right now. Stay in touch with our blog as well as our Facebook page and get all information about new integrations as soon as they become available for your Smart Lock!